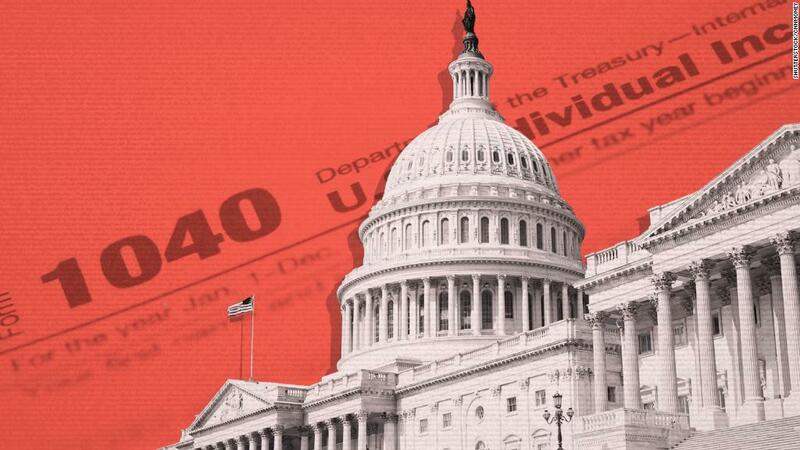 The tax reform bill now hurtling its way toward President Trump's desk is generally good news for millionaires. Except for one kind: Exceptionally well-paid executives at nonprofits. Those folks could see a pay cut in coming years, thanks to a new 21% excise tax that the final bill levies on nonprofit employers for salaries over $1 million. "That's something we expect is going to create a lot of turmoil," said Steven Seelig, a senior regulatory advisor for executive compensation at consulting firm Willis Towers Watson. "They're going to need to justify that it's worthwhile for them to be paying that additional excise tax, rather than them cutting back on pay. And every dollar counts." Executive pay has been rising at nonprofit groups, especially at large hospitals and universities. In order to attract the highest caliber candidates, many have begun to adopt compensation practices similar to those in the private sector. According to an analysis of tax records for about 100,000 organizations by the Wall Street Journal, 2,700 employees were paid more than $1 million in 2014, mainly at hospitals and universities. Football coaches are notoriously highly paid, as are executives at endowments like the Harvard Management Company, which employed two of the top five earners in 2014. Organizations representing nonprofits, including the American Hospital Association and the National Council of nonprofits opposed the provision, which the Joint Tax Committee estimates will raise $1.8 billion over the next decade. Related: Will companies spend tax savings to create jobs? However, these nonprofits had a lot more to defend in the tax fight, including preserving the charitable deduction, upon which most of them depend. Hospitals also scrambled to protect tax-exempt bonds, successfully, while higher education institutions managed to preserve deductions for student loan interest and graduate student tuition waivers. "We just had so many other fish to fry that we've left this one up to others to deal with," said Pedro Ribeiro, spokesman for the American Association of Universities, on the executive compensation tax. The private sector will also pay more for their generous compensation packages under the tax reform bill, although tax experts expect the impact won't be as severe. Currently, public companies can only deduct salaries up to a million dollars for their five highest paid officers. But the code exempts performance-based pay, like bonuses and stock options, that is paid according to a transparent formula and disclosed to shareholders. As compensation packages increasingly shift toward rewarding executives for hitting revenue or stock price goals, and away from guaranteed base salaries, that exemption has become more important. The final tax bill takes it away, making all compensation over $1 million non-deductible. The Joint Tax Committee expects the new provision to raise $9.2 billion over 10 years. That's not a welcome change for most companies, but it likely won't hit executives too badly in the wallets, said Theo Sharp, a tax attorney at the executive search firm Korn Ferry. "Market pay is market pay for CEOs of large public companies," Sharp said. "And that's not going to be limited to a million dollars just because the deductibility goes away." Correction: An earlier version of this article misstated the American Alliance of Museums' position on the tax bill.